On Memorial Day weekend, I have no better image to share than this one. 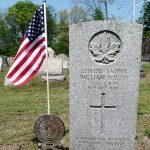 The Commonwealth War Graves Commission headstone of an Englishman, living in Providence, Rhode Island who volunteered to serve with the Canadian Expeditionary Force. 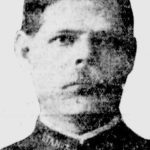 Sapper William Bustin died in Canada during the influenza pandemic and his remains were returned to Rhode Island for burial. 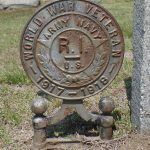 The gravestone has been decorated by the cemetery staff in preparation for Memorial Day; the flag is held in a Rhode Island ‘World War Veterans’ flag holder. 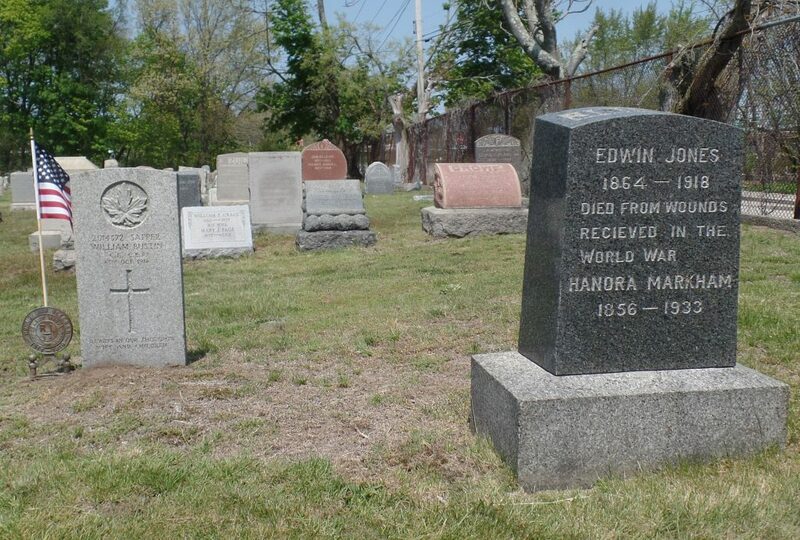 Beside him lies Edwin Jones, an Englishman born, a naturalised citizen of the United States, and a long-serving member of the Providence police department. 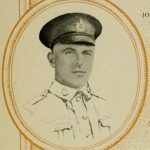 He volunteered to serve early in the war with the British Army and was gassed. Discharged unfit for further service in 1918, he returned home and died less than three months later, aged 54. He is not commemorated by the Commonwealth War Graves Commission and I will tackle that in the coming months. Two of Jones’ sons served: Markham F. Jones with the American Expeditionary Force in France, and Edwin H. Jones with the United States Navy. This entry was posted in Cemeteries & Memorials, Commemoration, First World War on May 27, 2016 by Nick Metcalfe.